I retired from public life 17 years ago but recently have felt obliged to come out of retirement temporarily to deal with media demands arising out of the Saville report and, now, the Police Ombudsman’s report on the Claudy bombings. As a curate and bishop in Derry during some of the worst episodes of the ‘Troubles’ I got to know many journalists who came to report on many sensitive issues. I see a less challenging style of journalism at work now. Maybe it is just that many of the reporters have no experience of the exacting pressures that their professional predecessors faced as they foraged for truth here in the]970s. Journalists then soared above the pressures of spin from government and combatants on all sides. They had exacting standards as they scrutinised and recorded controversial events. They asked awkward questions. Papers and broadcast networks took independent lines on stories. They did not sheepishly follow establishment or state. In contrast, I find media coverage of the Claudy report very disquieting. Media have not questioned key aspects of the ombudsman’s report in relation to allegations that Fr James Chesney was a senior IRA figure directly linked to the bombings. Everyone takes the same unquestioning line and competes to write the most lurid headline. The once sacrosanct presumption of innocence has been dispensed with and replaced with a presumption of guilt. I am not at all convinced that Fr Chesney was involved in the Claudy bombings. I may be mistaken,but I do not think so. I was a contemporary of his at school. I did not know him very well but knew him reasonably well. Personal involvement in several major miscarriage of justice cases, for example the Birmingham Six, has bred in me constructive scepticism. I have seen convictions based on signed admissions and forensic evidence completely overturned years later. Fr Chesney was never arrested, questioned, charged or convicted. He cannot answer for himself. He has been dead 30 years. The report aired suspicions about him that were based solely on intelligence reports. But intelligence and evidence are completely different things. Why was the ombudsman unable to find evidence against him after years of investigation? He found only these ‘intelligence reports’, and 1972-type RUC intelligence at that. In the 1970s there was widespread scepticism about RUC Special Branch intelligence. Hundreds were interned on such intelligence. Now, media portray as fact unsubstantiated claims emanating from agencies whose history is anything but clean. Where have all the campaigners for justice gone? The Claudy dead and wounded and their relatives deserve both truth and justice. The ywere victims of evil acts of violence. They were also cruelly deceived by senior RUC figures and the Northern Ireland secretary in the failure to ensure that the bombing was thoroughly investigated. If police suspected Fr Chesney in the atrocity they should have arrested him rather than closing the case, thus allowing all the perpetrators to go free. Can anyone believe that just because ‘Man A’, whom the RUC suspected of involvement in major horrendous terrorist crime, gave another major suspect (Fr Chesney) in the same crime as an alibi, that police could allow them both walk free? How did security forces become so coy whenever Fr Chesney came on their radar even when they alleged that a dog detected explosives in his car? That was not my experience in south Derry then, when I was often terrified and humiliated by the treatment and delays I experienced at security-force checkpoints as I returned from Confirmations and other pastoral duties late at night. Other aspects of the report are strange. For example, an NIO note of December 6 1972 attributes to CardinalConway an uncorroborated description of Fr Chesney as being “a very bad man” - a very mild commentary on someone alleged to be a mass murderer. I knew Cardinal Conway quite well during 1974-77. That was not a phrase he would use. It appears to me it was Northern Ireland secretary William Whitelaw’s version of what the cardinal did or did not say. 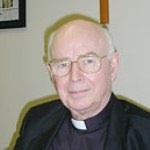 Does anyone sincerely believe that if Cardinal Conway and my predecessor Bishop Farren believed a mass murderer was in the Church’s ranks they would have permitted him to continue in the active priesthood? I cannot believe they would have omitted to tell me when I was appointed as Bishop of Derry in 1974 if they had for a moment believed one of the priests in my future diocese was a mass murderer. Mass murder cannot be compared with any other sin or crime. It is the foulest and most obscene of deeds. I witnessed mass murder at first hand in 1972. I am more aware than most of how appalling and grotesque it is and the enormity of it. It is a huge insult to suggest I would knowingly allow someone whom I knew to be a mass murderer to serve as a priest in my diocese. I do not accept theories voiced by several people in the aftermath of the report about priests being endangered and a possible subsequent fall-out in society if Fr Chesney had been arrested. Two priests were murdered by the British army in Belfast just months earlier that year and there wasn’t exactly community uproar.Did anyone believe the mere arrest of an obscure priest in Co Derry would worsen the already chaotic Northern Ireland climate? Northern Ireland was a war zone in ]972. Some 500 people were killed. I do not accept the ombudsman’s suggestion to reporters that Fr Chesney continued his republican activities when he was in Donegal. As bishop at that time, I was aware of his previous espousal of views, and he knew I was having him observed. There was never a complaint about him. I believe it possible that the RUC wanted Fr Chesney out of south Deny because of his publicly proclaimed republican sympathies and a fear of the influence these might exert on young people in the area. The IRA was seeking recruits and Fr Chesney’s public views were seen, perhaps rightly, as dangerous. Police wanted him out of a potential powder keg and used William Whitelaw to persuade Cardinal Conway into facilitating this. Of course it would have been preferable if the cardinal had told Whitelaw “to get lost” and to arrest Fr Chesney if there was evidence, I can reach that conclusion in the comparatively peaceful climate of today. Thank God I was not in the cardinal’s position in the mayhem of 1972. Perhaps Fr Chesney’s conduct did spark suspicion that he was involved with the IRA. The pertinent questions must be, however: was he or was he not a member of the IRA and, if so, was he involved in the Claudy bombing? I don’t know. The ombudsman’s report and the subsequent media reporting do not offer any evidence to help answer these questions, Claudy has at last received its legitimate and long overdue recognition as one of Northern Ireland’s most despicable acts of terror. I will continue to pray “the truth will out”. The families, the community and Fr Chesney’s relatives need to hear it. I hope the Claudy families launch a campaign that achieves justice and truth. I hope that clergy will continue to offer pastoral and spiritual support. I am pleased to hear that the Bloody Sunday families, with all their years of expertise, have offered to assist the Claudy families. I hope journalists will assist them, too. I now plan to return once more to private life. I hope that justice will finally be done to the dead of Claudy as well as the dead of Bloody Sunday.